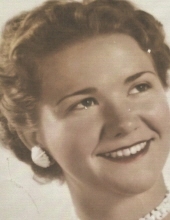 Connie Maurer, 81, passed peacefully on April 4, 2019 at her home in Lakeland, Florida surrounded by her family. She is survived by her five children, Lisa Clyce, Rick Jamison, Dana Stanley, Tina McCarthy, and Eric Maurer; nine grandchildren, Julia Jamison, Kevin Jamison, Erin Jamison, Adam Blanton, Kayla Harridge, Sean Stanley, Cameron Maurer, Ryan Stanley, and Claire Maurer; twelve great-grandchildren, Gavin Lunan, Peyton Jamison, Cheyenne Blanton, Alyssa Blanton, Treven Jamison, Jada Jamison, Zoey May, Madison Harridge, Cassidy Knight, Cadence Jamison, Bentley Jamison, and Emily Harridge. Connie was born Connie Gwendal Shiver on January 26, 1938 in Camilla, Georgia to Roy and Gertrude Shiver. For more than thirty years she dedicated herself to her profession as a Registered Nurse and was respected and loved by her peers. She touched the hearts of many for whom she provided care. Connie was known to her family as Mom, Mother, Granny, Granny Connie, and Big Granny, although she was very tiny. She will be missed by all those who loved her. Visitation will be held at Parker Bramlett Funeral Home in Camilla, Georgia from 6:00 to 8:00 pm on Saturday, April 6, 2019. Graveside Services will be held at Pinecrest Memory Gardens at 2:00 pm on Sunday, April 7, 2019. Parker Bramlett Funeral Home is in charge of the arrangements. To sign our online guest registry, visit our website at www.parkerbramlett.com. "Email Address" would like to share the life celebration of Connie Shiver Maurer. Click on the "link" to go to share a favorite memory or leave a condolence message for the family.